To get to this page, to to Reports → Spam Filter. This report lets you see a summary of counts of received messages against time and how many were detected as spam and how many were detected as not-spam by the VPOP3 spam filter. This report requires Historical Logging to be enabled. 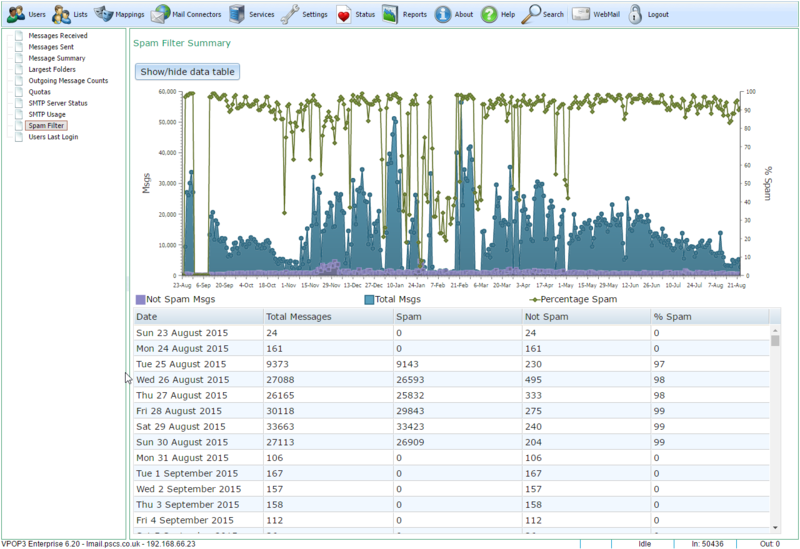 The graph shows the amount of not-spam messages in purple, spam messages in blue and the percentage of spam detected in green (as indicated by the legend below the graph).